In an early evening vote today, Andrei Iancu was confirmed by the United States Senate to become Under Secretary of Commerce for Intellectual Property and the Director of the United States Patent and Trademark Office. Joe Matal, who has been in charge at the USPTO in a quasi-Acting capacity is expected to ultimately become the next Deputy Under Secretary of Commerce for Intellectual Property and Deputy Director of the United States Patent and Trademark Office. The Iancu vote, as expected, resulted in a unanimous confirmation. The final vote in the Senate in favor of Iancu’s nomination was 94 to 0. Iancu was originally nominated by President Trump on August 25, 2017, and he had his confirmation hearing before the Senate Judiciary Committee on November 29, 2017. Andrei Iancu now comes to the agency after most recently serving as the managing partner of Irell & Manella LLP, having been appointed to that position by the firm in 2012. and practicing full time with the firm’s litigation and intellectual property practice groups. According to his firm profile, Iancu’s practice focus was intellectual property litigation, but he also involved himself with all aspects of intellectual property practice, including patent and trademark prosecution, due diligence and licensing. While at Irell & Manella, Iancu represented clients in various technological fields including genetic testing, the Internet, medical devices, therapeutics, telephony, TV broadcasting, video game systems and computer peripherals. One of Iancu’s major successes during his private practice career as an intellectual property litigator was his work in securing large settlements for TiVo Corporation (NASDAQ:TIVO) in 2012. That year, TiVo secured a $250 million settlement from NYC-based telecommunications giant Verizon (NYSE:VZ). Months before that settlement, Dallas-based telecom firm AT&T (NYSE:T) agreed to a $215 settlement to end litigation surrounding digital video recording technology. The total payments to TiVo from these settlements and those from Microsoft (NASDAQ:MSFT), Cisco (NASDAQ:CSCO) and others exceeds $1.6 billion. On the other side of the coin, Iancu’s work in the biotechnology sector has created an air of skepticism among some within the industry. Iancu represented Ariosa Diagnostics in a patent litigation matter against Sequenom, the patent owner. The discovery at the heart of the innovation patented by Sequenom resulted in a test for detecting fetal genetic conditions in early pregnancy that avoided dangerous, invasive techniques that are potentially harmful to both the mother and the fetus. The invention, which became embodied in U.S. Patent No. 6,258,540, claimed certain methods of using cffDNA. The patent taught technicians to take a maternal blood sample, keep the non-cellular portion (which was “previously discarded as medical waste”), amplify the genetic material that only they had discovered was present, and identify paternally inherited sequences as a means of distinguishing fetal and maternal DNA. Although the claimed method does not preempt other demonstrated uses of cffDNA, the Federal Circuit still concluded (see here, here and here) that the discovery was not patent eligible, although it was “a significant contribution to the medical field.” The United States Supreme Court refused to take the case to reconsider or elaborate on patent eligibility of medical breakthroughs such as the Sequenom innovation. Joe Matal was never named “Acting Director” of the USPTO. Instead, Matal was vested with the power to perform the functions and have the responsibilities of the Director during the nomination and confirmation process. See A profile of USPTO interim Director Joe Matal. There are currently 31 Comments comments. Let’s see if he can fix the problems with the PTAB. Notwithstanding the IPR mess, many APJs at the PTAB have this unfounded belief that if they can find a way (extralegal or not) to affirm an Examiner, they should. Their disrespect of the law would be sanctionable offenses had they made the same arguments in a District Court. If I was to advise Iancu, I would ask him to ask the PTAB to give him breakdown, for every APJ, of the decisions written by that APJ by year (going back 10 years) and by disposition (i.e., reversed, affirmed, affirmed-in-part). It’ll be easy to tell those APJs that fall outside the norm. Statistically and for a particular year, the numbers for any APJ doesn’t necessarily have to fall close to the average for any particular year. However, if they are consistently on one side of the average year after year after year, that indicates the particular APJ is consistently interpreting the law/facts differently than other APJs. Then it is up to Iancu (or his delegate) to determine if that APJ is doing it right and everybody else is doing it wrong or vice-versa. There should be consistency at the PTAB — I just don’t see that happening. I would also like to see him fix TC3600. 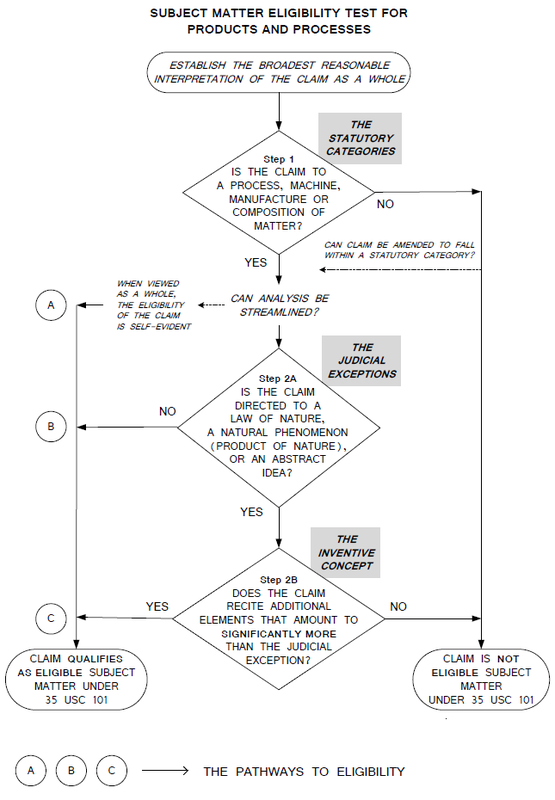 Nearly 100% of the Examiners in TC3600 (business methods) have this unfounded belief that if a patent application was classified in TC3600, then there is a presumption (not easily rebuttable — at least to them) that it is directed to an abstract idea under 35 USC 101. This has been going on since a few months after Alice was issued. Even before Alice, Examiners in TC3600 have long believed that it was their job not to issue patents. This has been going on for at least a decade. It’s never too late. Kappos did a decent job addressing much of the mess that Dudas left behind. However, it is too early to tell how we’ll be discussing Iancu’s tenure at the USTPO. Hopefully, he’ll create a legacy that patent owners can be proud of. If true, you wouldn’t be posting, would you? Please stop doing the work of the Efficient Infringer lobby with your “just go home” loser attitude. Help – out get the F out of the way. With respect to Ariosa Diagnostics, Inc. v. Sequenom, Inc., 788 F.3d 1371 (Fed. Cir. 2015), Iancu did a competent job of representing his client. It is hard to fault him because his side won. Sequenom could probably have developed 101-eligible claims, but I can’t find anything more than a claim to a method of isolating foetal DNA from maternal blood in the Sequenom specification. The method uses standard techniques. One might assert that the Alice Mayo test “something more” to which the claim is directed is the realization that fetal DNA contains paternal genes. That particular knowledge is purely a posteriori and analytic in the Kantian sense even if the CAFC does not explain itself very well on this point. For some obscure reason SCOTUS and the CAFC refuse to explain that the “something more” of a valid claim must include significant synthetic knowledge in the Kantian sense. The Sequenom claims’ alleged “something more” includes no significant Kantian synthetic knowledge. In Roughing It Samuel Clemens (Mark Twain) describes a method of mining gold. The method is called pocket mining. The time period is 1861-1867. Pocket hunting is an ingenious process. You take a spadeful of earth from the hill-side and put it in a large tin pan and dissolve and wash it gradually away till nothing is left but a teaspoonful of fine sediment. Whatever gold was in that earth has remained, because, being the heaviest, it has sought the bottom. Among the sediment you will find half a dozen yellow particles no larger than pin-heads. You are delighted. You move off to one side and wash another pan. If you find gold again, you move to one side further, and wash a third pan. If you find no gold this time, you are delighted again, because you know you are on the right scent. You lay an imaginary plan, shaped like a fan, with its handle up the hill—for just where the end of the handle is, you argue that the rich deposit lies hidden, whose vagrant grains of gold have escaped and been washed down the hill, spreading farther and farther apart as they wandered. And so you proceed up the hill, washing the earth and narrowing your lines every time the absence of gold in the pan shows that you are outside the spread of the fan; and at last, twenty yards up the hill your lines have converged to a point—a single foot from that point you cannot find any gold. Your breath comes short and quick, you are feverish with excitement; the dinner-bell may ring its clapper off, you pay no attention; friends may die, weddings transpire, houses burn down, they are nothing to you; you sweat and dig and delve with a frantic interest—and all at once you strike it! Up comes a spadeful of earth and quartz that is all lovely with soiled lumps and leaves and sprays of gold. Sometimes that one spadeful is all—$500. Sometimes the nest contains $10,000, and it takes you three or four days to get it all out. The pocket-miners tell of one nest that yielded $60,000 and two men exhausted it in two weeks, and then sold the ground for $10,000 to a party who never got $300 out of it afterward. All the steps described were well known before the 1860s. The alleged “something more” of a 19th century claim to pocket mining would lie in the realization that one could use a sort of triangulation relative to the topology of the terrain in order to find the gold pocket. Yet such triangulation represents only a posteriori and analytic knowledge but not any significant Kantian synthetic knowledge. Could one make a valid claim to pocket mining in the 1860s? It’s a process — hence it falls within (current day) 35 USC 101. Is it directed to an abstract idea, law of nature, or natural phenomena. To the extent that “triangulation” is an abstract idea, the claimed invention is neither directed to triangulation nor does it preempt triangulation. I wouldn’t say the claims are directed to a law of nature of natural phenomena either. Accordingly, patent eligible. I imagine that people have attempted to patent methodologies of finding oil using some type of information processing. Are these patentable? If not, why not? There is nothing obscure about this, given that they are not even aware of YOUR methodology of thinking about this. We do not even have to address the fact that your methodology is not the law. He needs to clean house….quickly. If he retains Matal (as other news sites seem to be promoting) and the other senior PTO officials put in place by Obama/Lee (including the Head “Judge” of the PTAB)…he will have as much difficulty as Sessions is having at Justice and Tillerson is having at State. Don’t underestimate the power of the bureaucracy….because it will wear down Trump’s more pro-patent agenda if given the opportunity. DON’T PROVIDE THEM THE OPPORTUNITY….it is clear from the past year that no one at the PTO is interested in REFORMING the bias processes there. While institutional knowledge is typically highly desired in a turnover situation….it is highly dangerous to the Trump/Iancu agenda as Obama holdovers have actively undermined that agenda to keep it from gaining traction. While I leave it to others with more expertise and experience dealing with the examination corps to point out which individuals/units needs overhauling….I would jettison most (if not all) of the senior policy staff responsible for creating the current Rules regarding operations of the PTAB within a month. I understand the eligibility flowchart in MPEP 2106 differently. Please look at the following image. In both the Sequenom claims and the hypothetical pocket mining claim (assume an old-fashioned omnibus claim) we would take the “yes” path from Step 1. After reading many of these “abstract idea” decisions, I think “abstract idea” refers to (Kantian sense) a posteriori knowledge that has been divorced from any structure. Step 2b: All the steps of the Sequenom claims come from prior art. Is there “something more” in the claims as a whole? Step 2b: All the steps of the hypothetical claim to pocket mining come from prior art. Is there “something more” in the claim as a whole? The alleged “something more” in the Sequenom claims comes from realizing that the presence of the paternal genes tells us that the DNA is foetal. The alleged “something more” in the hypothetical pocket mining claim comes from realizing that we can triangulate relative to the topology of the terrain. In both cases the alleged “something more” consists of (Kantian) a posteriori and analytic knowledge. The CAFC found there was not “something more” in Sequenom claim. By analogy there is not “something more” in the hypothetical pocket mining claim. I think I can only explain the fact of the Sequenom decision and the analogous conclusion wrt to the pocket mining claim by inductive reasoning. I am forced to conclude that “something more” must involve significant (Kantian-sense) synthetic knowledge. That is not true. He has taken a massive pay cut in order to take this job. The same was true for David Kappos. Indeed, his pay is likely to have been reduced by about 75% or more. Valuationguy- spot on re cleaning house. Mr. Iancu has been a fairly active contributor to (mostly) establishment Republican candidates in recent years, according to donor search at opensecrets dot org. Can you tell me what an “abstract idea” or “something more” means in the flowchart which is pictured below in the link? The “abstract idea” exception is rooted in case law from the 18th century. The formalism is not mine. With some simplification I am basically following Kant’s summary of 18th century ideas about knowledge, reason, and epistemology. If you provide a way, which does not use 18th century terminology, which is persuasive on patent eligibility with respect to examination, in the federal District Court, and before the CAFC or SCOTUS, I would be most happy. I am awed by the mishmash that has been created with 101 eligibility. I understand that natural law is not eligible under 101 even if I don’t see any real reason not to have allowed patents on Maxwell’s Equations, Schrödinger’s Equation, or the proof of Fermat’s Last Theorem as long there were a research exception to the the short term monopoly. SCOTUS seems to have decided Mayo v Prometheus as it did because 103 obviousness cannot be demonstrated by the combination of prior art with a well known natural phenomenon. Some of the District Court judges seem hopelessly confused by 101 eligibility rules that have been created by the case law. I am just trying to step back and find a coherent principle that can be used in the USPTO and in Article III courts. There is no coherent principle. It has been a “make it up as we go along” test divorced from the warnings by the Supreme Court is Alice about not letting this exclusionary principle swallow all of patent law. There are certain judges on the Federal Circuit who are hellbent on declaring all non-purely mechanical inventions (e.g., those directed to biotech and computers) to be directed to abstract ideas. There are some who recognize that the Supreme Court’s jurisprudence is a mess but are trying the best they can to reconcile the various disparate precedential decisions already rendered. Law is not science. Rarely is there some general principle(s) you can drill down to and discover. It is a bunch of men (and woman) trying to put their own imprint as to what they think they law should be. They are more than capable of reading the same law differently. Moreover, until their superior (SCOTUS for the Federal Circuit and Congress for SCOTUS) smacks them down, they’ll continue to do so. The USPTO is even worse. The USPTO changes from Tech Center to Tech Center and Art Unit to Art Unit with regard to eligibility. I know some applications that would sail through certain art units but get stuck in a 101 quagmire in other. Have you read the new version of MPEP 2106? It goes on forever. 35 USC 101 was intended to be a simple gateway test — is your invention useful? The “new” aspect of the “new and useful” is redundant to 35 USC 102. The additional language of “process, machine, manufacture, or composition of matter, or any new and useful improvement thereof” describes things that can (and should) be useful. For example one can not get a patent on “love” and “happiness” (i.e., true abstract ideas) because they are none of a process, machine, manufacture, or composition of matter. Today, instead of being a simple gateway test, I probably spending 20% of my working hours trying to address poor-written rejections that do not come anywhere close to meeting the requirements set forth in MPEP 2106. 35 USC 101 has significantly gummed up the works of the patent system — exactly what the anti-patent proponents were trying to achieve. You are going to have no luck finding a coherent principle because there is none to be found. It’s all a random mess, and if you want to have a patent (either issue or asserted), you just hope that this mess doesn’t find you. That appears to not be true. I do not begrudge you your attempts at applying critical thinking and intelligence to the mess of 101. That being said, you are falling prone to a condition that you have been put on notice concerning previously: you are a man with a hammer (your background in philosophy and language) who sees everything as a nail (law is not philosophy). This has nothing to do with whether “the formalism is yours” or not – it does not matter who gave you the hammer – the world is not all nails. I think that there is also a more subtle problem with your approach. I’ve noticed that you seem to take for granted that it is the Justices (or other members of the judicial branch) that should be determining the law of 101. Here in the States, this is a pure legal error. Here in the States, a different branch of the government (and only that one branch) was allocated authority to write patent law. This does not mean that the Judicial Branch is not without a role. This does mean that the use of the tool of “common law” to write the law is not appropriate when it comes to the statutory law that is patent law. There is a difference between interpreting what Congress wrote and changing (by addition or subtraction through “evolution vis common law”) what Congress wrote (I do note that you indicate wanting something ‘that works’ in the other two branches – and my “answer” is merely one that it is the branch that you have not mentioned that needs to be listened to for what is actually on the books). You would seem to have the Justices – through philosophy – change what is otherwise a rather direct (and purposefully open-ended) section of law in 35 USC 101. When all else fails, look to the statute and see what it says. Understanding what it actually says removes the cloud of debris created by the Court. Hasn’t anon just explained why SCOTUS and the CAFC refuse to define “abstract idea” and “something more” in the context of eligibility but just use the terms without explanation? Yet without some leadership from Congress (unlikely) or from the Executive (probably impossible nowadays), the US patent system mess will only get worse and worse. and it suggests that as long as Congress abdicates its responsibility, SCOTUS could implement fixes by creating precedents. 1. What are the principal sources of law and regulation relating to patents and patent litigation? Federal laws enacted by the US Congress. State laws enacted by individual states. 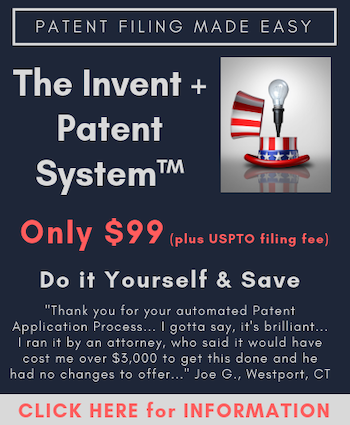 US patent laws stem from the patent clause in the US Constitution, which provides that Congress has the power “to promote the progress of … useful arts, by securing for limited times to … inventors the exclusive right to their … discoveries”. Therefore, patents are exclusively governed by federal law and state law has little or no role in patent litigation, except, for example, where the issue is one of contract or ownership. The principal source of federal law governing patents is Title 35 of the US Code. The US has a common law system that relies on judicial precedent. Therefore, federal court decisions also play a vital role in US patent law and litigation, by interpreting the Constitution and federal statutes, and in some cases, creating law themselves. For example, the “doctrine of equivalents”, which was first adopted by the US Supreme Court, has no independent statutory basis. Federal courts have exclusive jurisdiction over patent infringement cases, and the Federal Rules of Civil Procedure and the Federal Rules of Evidence apply in these proceedings. In addition, many district courts have instituted local rules specific to patent litigation. The US Patent Office (USPTO) is the administrative body entrusted with examining and issuing patents. More recently, through its Patent Trial and Appeal Board (PTAB), it has been presiding over inter partes post-grant proceedings where a party may challenge another party’s patent (see Question 3). The US International Trade Commission (USITC) is entrusted with the enforcement of patents at the border. Each of these administrative agencies is governed by a set of federal regulations and its own set of rules, which must be consistent with the Constitution and federal patent statutes. For example, the Manual for Patent Examining Procedure, issued by the USPTO, and Title 37 of the Code of Federal Regulations provide rules and procedures for patent examiners and practitioners. Court of Appeals for the Federal Circuit (which since 1982 has had exclusive jurisdiction over patent appeals). Federal district courts within the regional circuit in which the case is brought. Federal district courts outside the regional circuit in which the case is brought. Decisions and rules of administrative agencies. That same Constitution is where you will find the allocation of authority to write the particular law that is patent law. Note that the common law approach IS permissible in other areas of law. The important aspect here though is that patent law is UNLIKE other areas of law in so far as patent law has been explicitly delegated to the Legislative Branch. We in this country have a concept called Separation of Powers. That concept applies FULLY to each and every branch of the government that operates UNDER the Constitution – including (and especially including) the Judicial Branch. Be aware of (and beware of) the incidences that color a branch placing itself above the Constitution and outside of the Separation of Powers. Entrusting with enforcement – much like “interpretation” is expressly different than writing law (through the power of common law evolution or otherwise). Not to minimize the crap to which you have been subjected, but the crooks and clowns at the USPTO are doing far more than merely putting inappropriate documents in an Image File Wrapper. Such insertion probably does not rise to the gravity of a federal crime like 18 USC § 1001. I have an example in which the PTAB outright lies in a written decision — almost certainly the federal crime of document falsification, to which conspiracy (18 USC § 371) should be added, for there are three APJs, and they were directed to lie by senior USPTO officials. There are other similar cases. The treatment of Tinnus has been an obvious bait-and-switch con scam. Social media and the WWW is great. We can work together to expose USPTO anomalies, biases, and crimes. The crooks and clowns at the USPTO that tried to steal your IP and put it in the public domain are roaches. These roaches run from the light (I also have an example of this behavior), but if we are persistent we can make sure they run to the roach motel which is federal prison. It would be helpful for you to provide the application number, with respect to which the USPTO has been misbehaving. I’m today filing a Request for Rehearing at the PTAB. The Panel admitted that four separate limitations were not found in the record, but criticized me for looking at what the single reference discloses rather than what is taught after the Examiner’s modification. Apparently, the PTAB is still a bit light on the idea of “substantial evidence in the record.” The same Panel also cited a new reference (and misrepresented the teachings of the new reference) to change the rejection without acknowledging a new grounds of rejection. This particular invention is relatively small compared to one presently before the CAFC, but you’re right – asking for real law and evidence at the PTAB is useless for very valuable patents. FYI, I actually had an APJ cite a new reference during oral hearing and misrepresent the document about two years ago. BTW, Mr. Yoldas – the 101 rejection cited against you is typical. However, there’s a recent case, Berkheimer v HP, that may help your case. I’ve cited it twice already and the ink isn’t even dry yet. for more information and research analysis results. There will be more reports generated and shared soon. If the SEC and the FBI ever get serious about investigating corrupt senior officials at the USPTO under the STOCK Act, they will need to employ investigators that are patent agents and patent lawyers, who can actually parse out office actions, decisions on petition, decisions on appeal, and final written decisions. Hiring such investigators should not really be an obstacle. Both the FBI and the SEC already have investigators that are forensic accountants and lawyers. Senior officials at the FBI and the SEC seem to be unable to grasp that the USPTO can be as corrupt as any Wall Street Firm. In fact, corruption at the USPTO is worse because it can destroy the patent system, which is one of the main engines of the US economy and of human development.